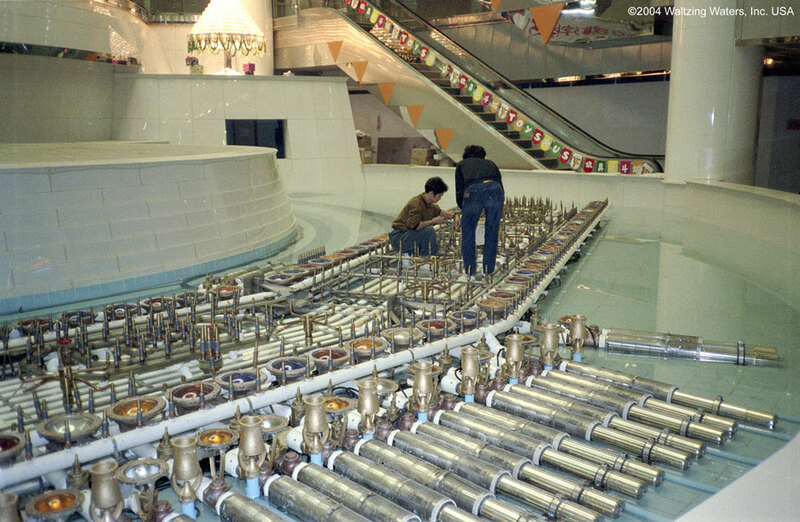 Liquid Fireworks® shows act as a powerful draw, attracting crowds into malls, restaurants and other businesses. 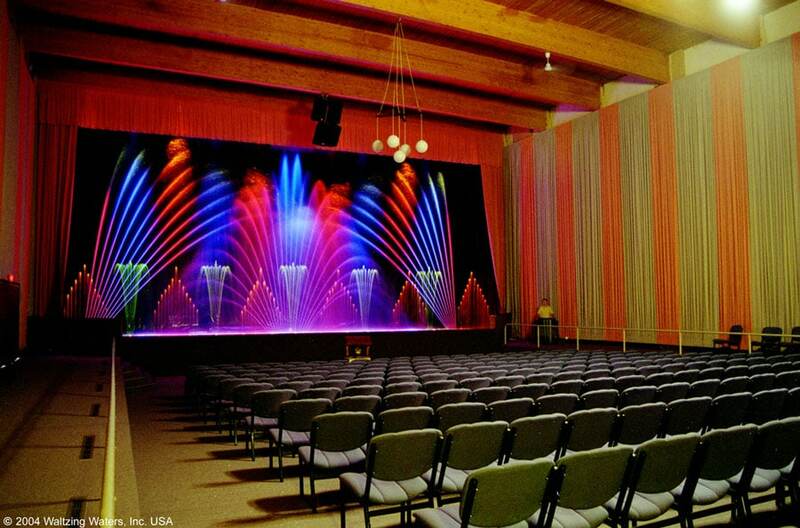 Regardless of outside weather, indoor shows can be seen day or night in an optimal environment. They are also noted for extremely low maintenance requirements. 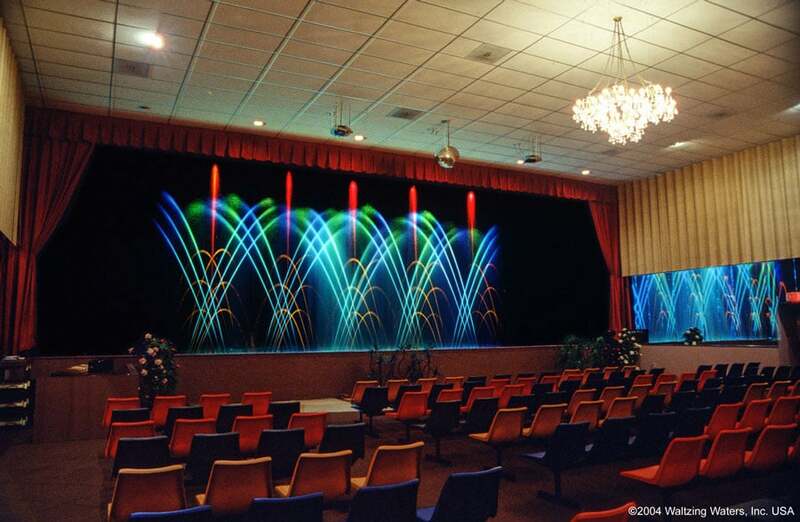 Our shows typically run months at a time with virtually no service required other than changing an occasional burned out light. Some of the images shown here are self standing, self supporting attractions. 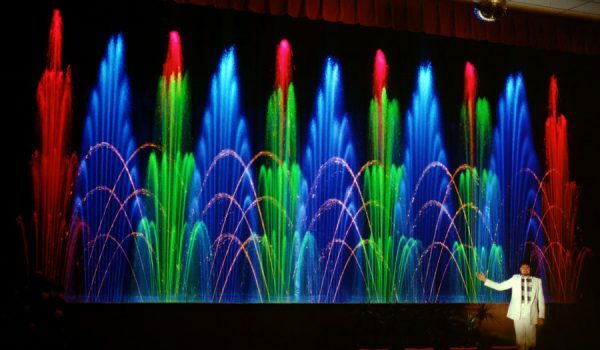 In other locations, Waltzing Waters ® water light shows are displayed free of charge. In these venues, they serve as a powerful, public draw, bringing crowds into businesses. 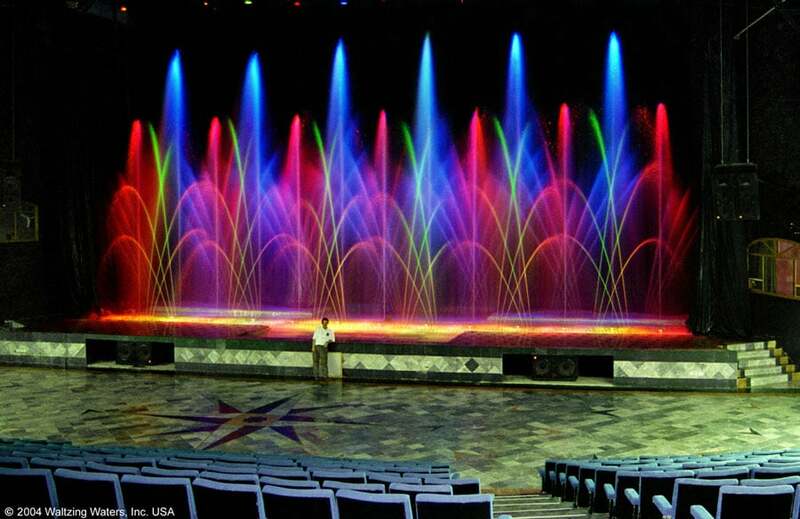 55′- 17 meter water show in an auditorium. A self standing attraction, up to 100 coaches per week stop in to see this show during season. Running 50 weeks per year, the owner reports not a single show lost to equipment failure in nine seasons (over 3,000 shows). 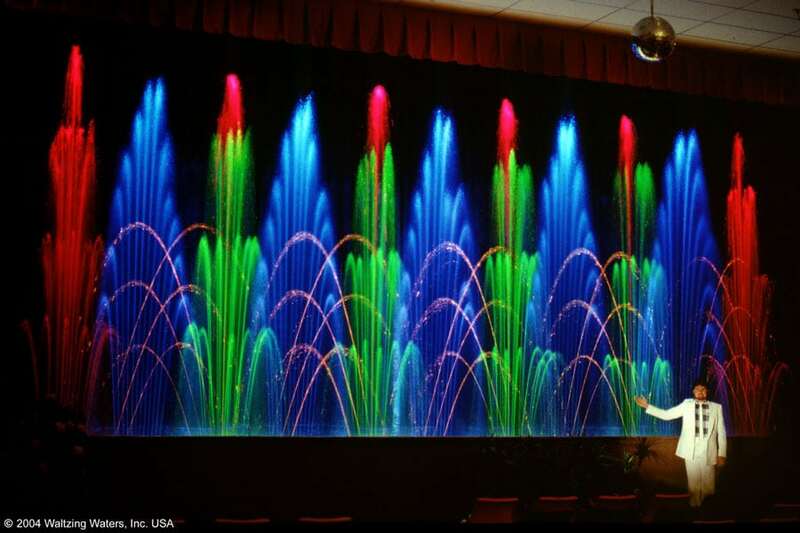 Waltzing Waters ®, Inc. was the first company in the world to include high-tech dichroic filters as standard equipment in fountain displays. These provide saturated colors with up to four times the light of gels or glass. With a 30′ – 9 meter indoor show, although relatively small, it is still very spectacular when placed in the proper setting. 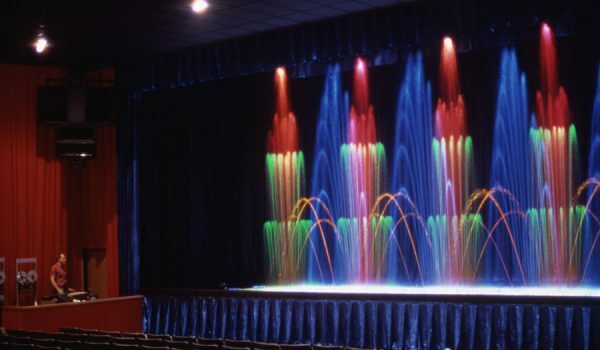 Indoor water shows typically feature overhead lighting contained in a bridge which can be electrically raised and lowered. No ladders are required to service the lights. 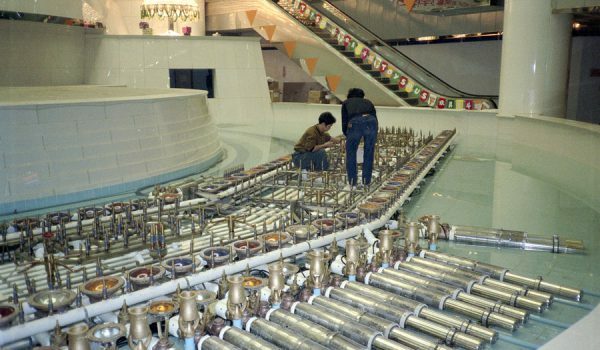 For an installation in a shopping center, overhead lighting was not feasible, therefore submersible fixtures were employed as in outdoor shows. 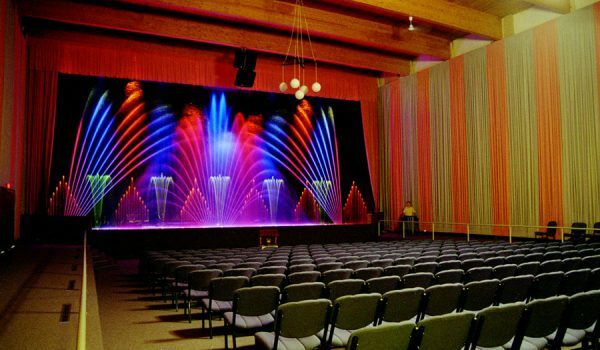 We have installed a spectacular 65′ – 20 meter show in an auditorium where Waltzing Waters ® is the primary attraction in this venue with seating for over 1000 people. 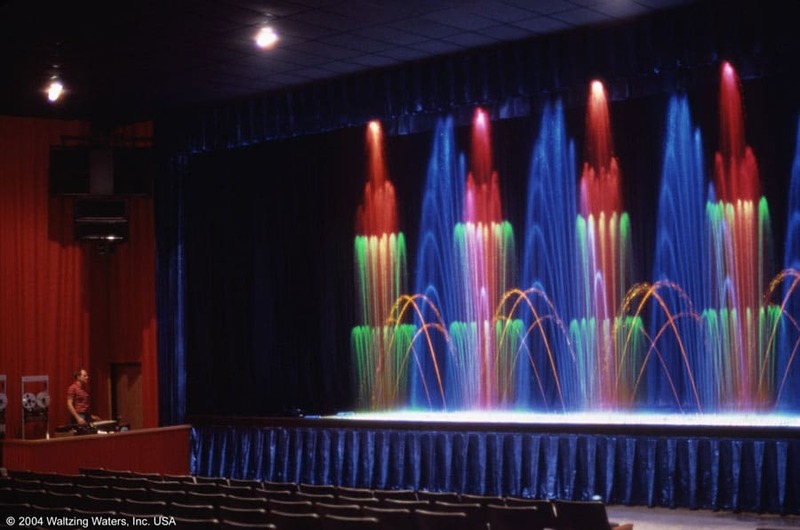 Liquid fireworks provide an awe-inspiring dancing fountain that commands attention, allowing a venue to provide continual shows indoors with very little maintenance. 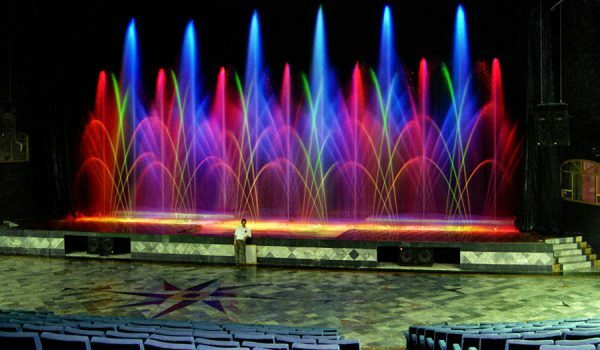 Dancing fountains have all the magic and beauty of a firework show indoors. 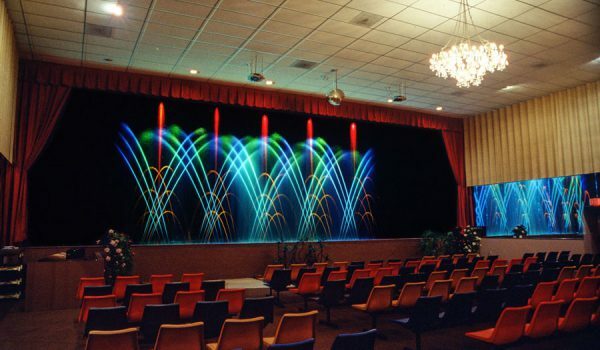 An indoor music fountain can bring enhancement to a whole manner of venues, enjoyed whatever the time or weather.